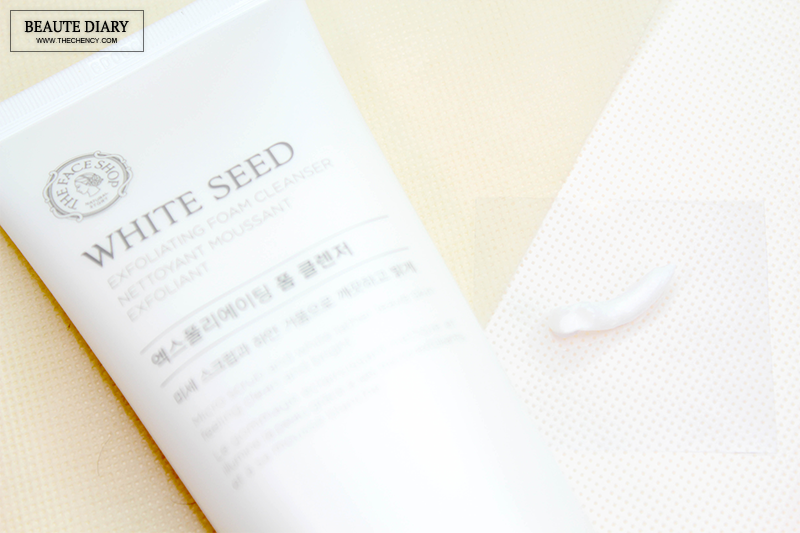 The main ingredients of White Seed range is White Lupine Seed and White Daisy Extract. 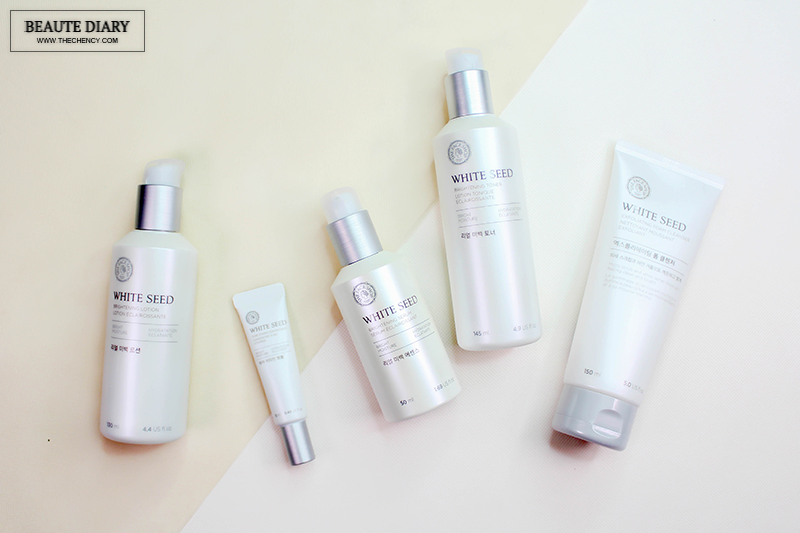 White Lupine Seed contains the natural whitening essential that delivers more brightening effects and the White Daisy extract has a strong effect on inhibiting melanin production control. 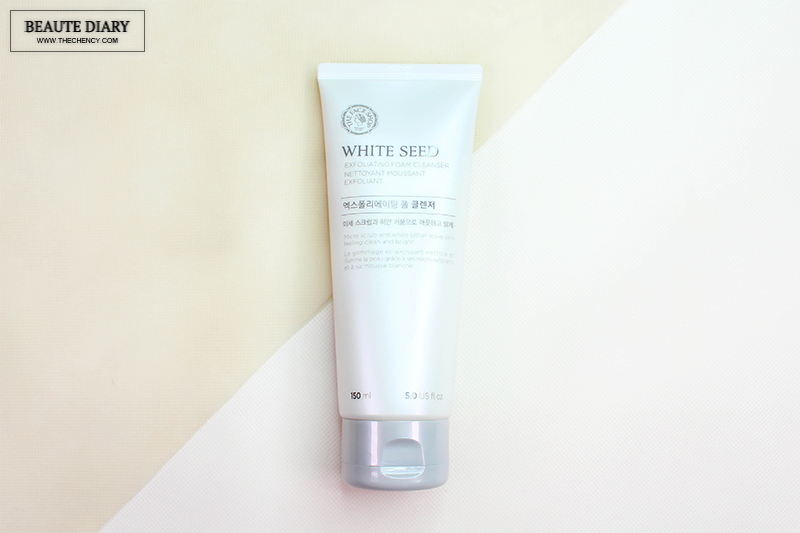 This White Seed Exfoliating Foam Cleanser is an exfoliating foaming cleanser with micro scrubs insides. The texture is like a typical thick cream cleanser and because of the micro scrubs inside as well, it can effectively gently cleanse the dirt while also gives massaging effects promoting blood circulation for bright and firm skin. I really love the scent of this cleanser; smell divine! At first, I am kinda skeptical with the micro scrubs, thinking it might be too harsh for my skin but this cleanser kicks my worry away as it is gentle to skin. 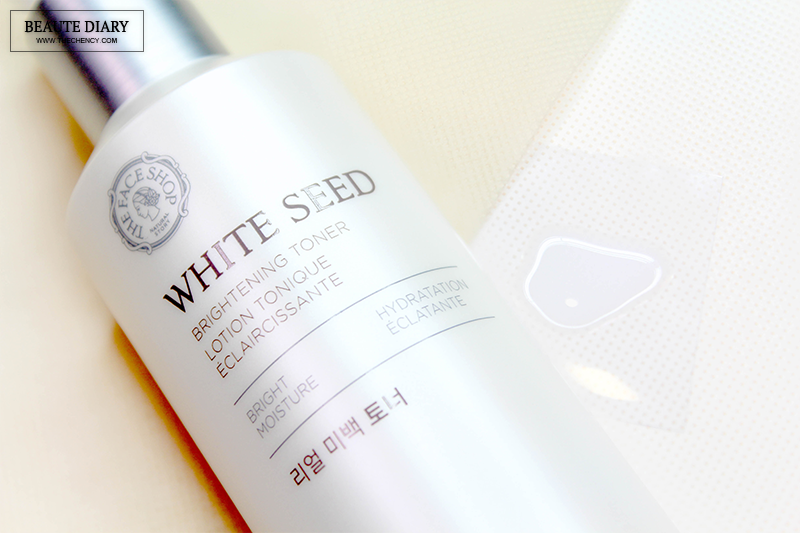 White Seed Brightening Toner is a milky whitening functional toner that softly applies on the skin and gives a fresh finish without any stickiness and delivers long-lasting moisture. 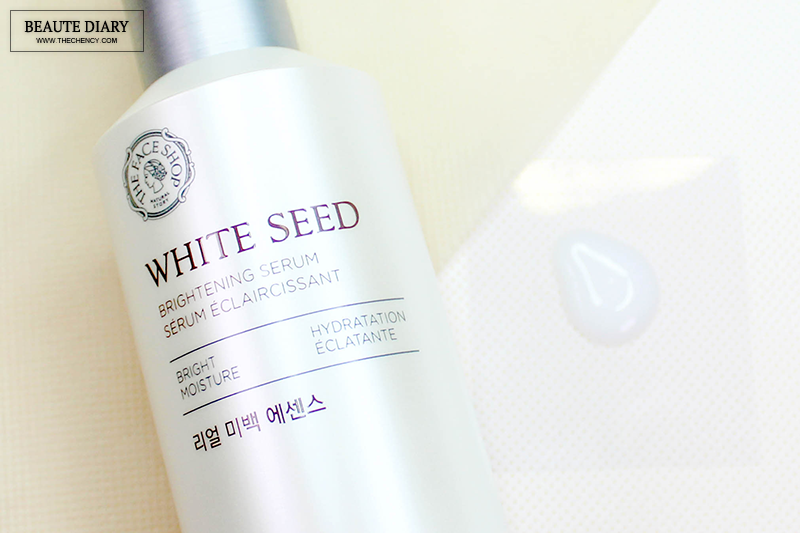 White seed complex and triple real whitening system make skin clear and bright while beta-glucan ingredients that have higher moisturizing effects than hyaluronic acid keep skin moisturized and healthy. 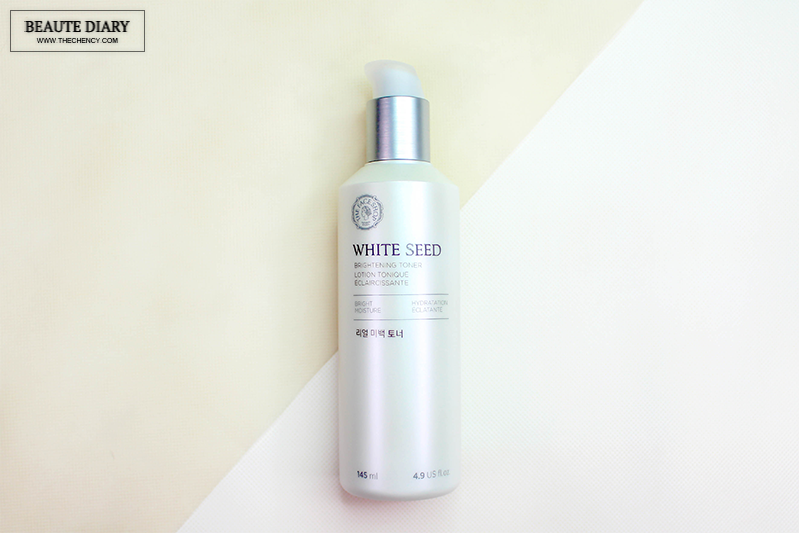 The consistency of this White Seed Brightening Toner is slightly thicker comparing with a normal toner but still pretty easy to absorb into the skin. Instead pouring this toner into the cotton pad, I prefer pouring straight into my palm and then keep patting to absorb. 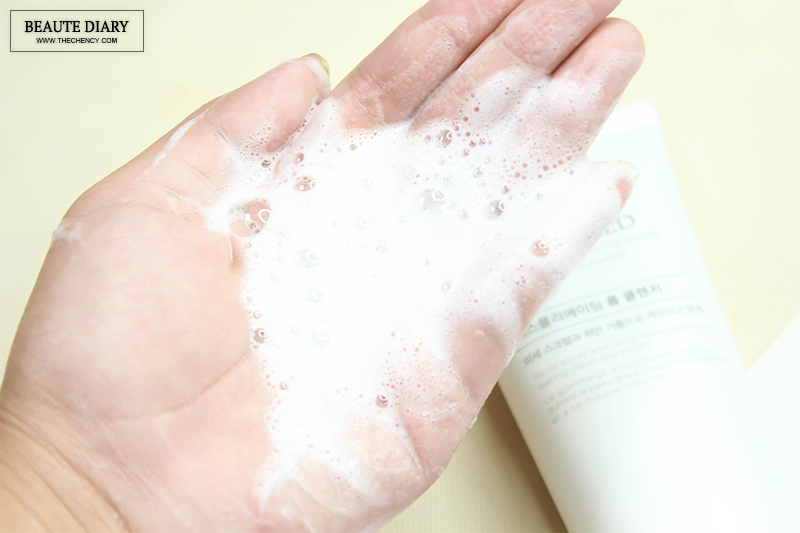 Like what it's said; this toner does not give any stickiness; feeling fresh and comfortable. 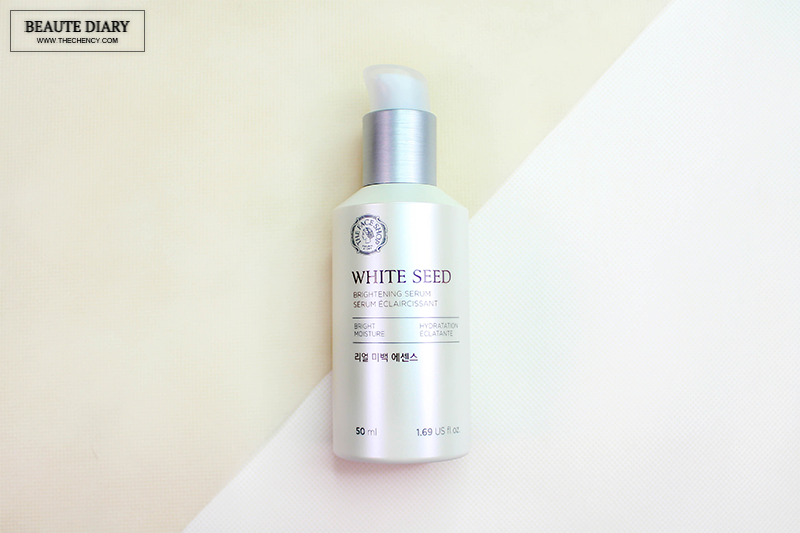 White Seed Brightening Lotion is a lotion that quickly absorbs into the skin without any stickiness and controls the balance of oil/water in the skin and creates a whitening + moisturizing barrier for long lasting bright and moisturized skin. 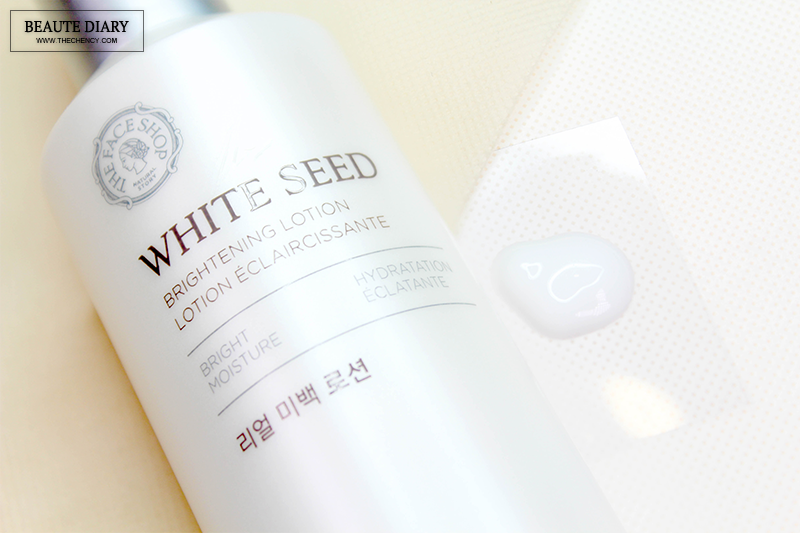 I recommend this White Seed Brightening Lotion special to combination skin types. I found this lotion works well to my skin to keep my oil at the bay while moisturize my face. I love to use this before doing my makeup; looking fabulously hydrating especially my dry patches. 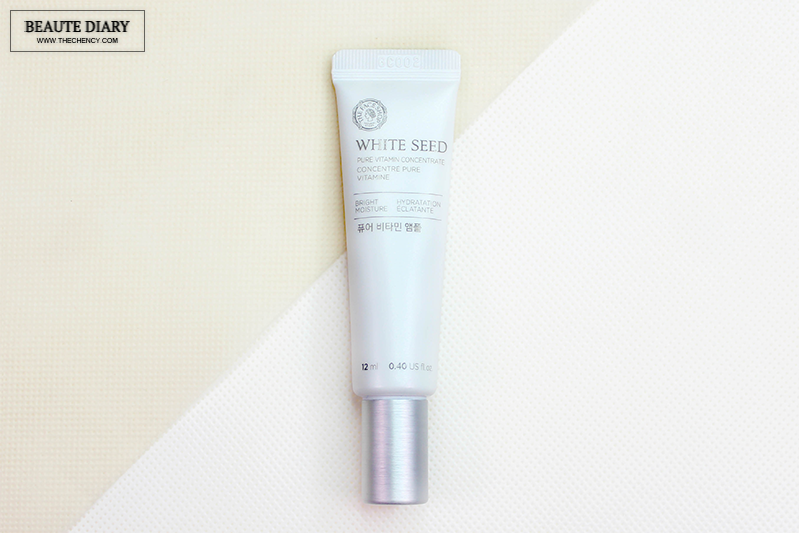 White Seed Brightening Serum is the highlight of this series. This is a brightening serum that penetrates deep and restores radiance to the skin. 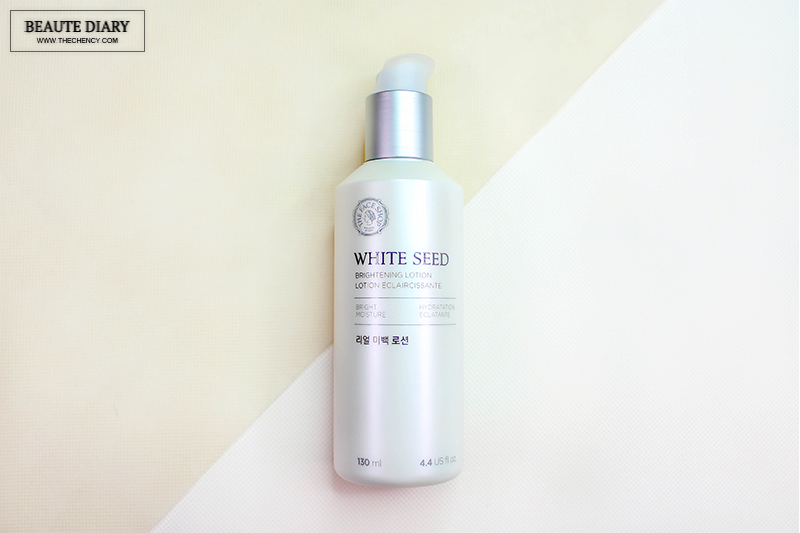 This White Seed Brightening Serum contains HR Hexylresorcinol that gives powerful whitening effects which is 1000 times more effective than Vitamin C. Other ingredients include White Seed Complex (brightening), White Willow (brightening), Niacinamide (brightening), Panthenol (soothing) and Hyaluronic Acid (strengthens skin resilience and moisture). 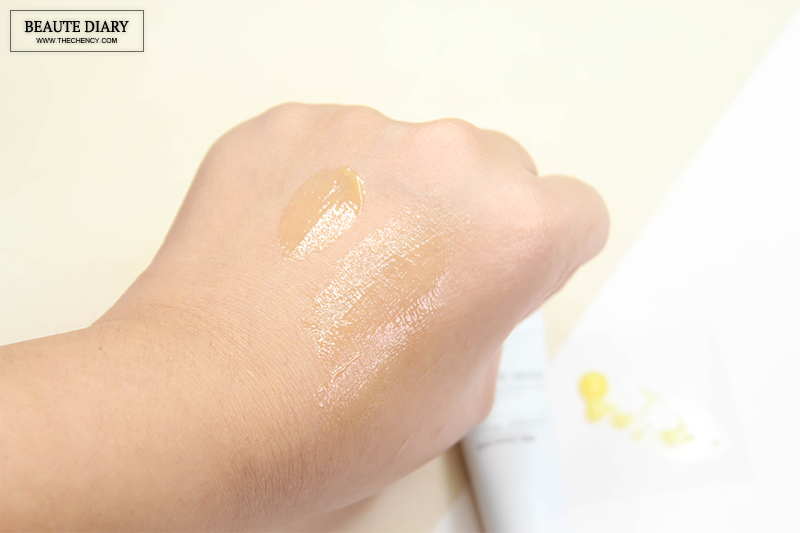 The texture of this serum is water-gel, really light when applying to the skin. It absorbs so easy as leaving fresh and no sticky or greasy residue on the face. 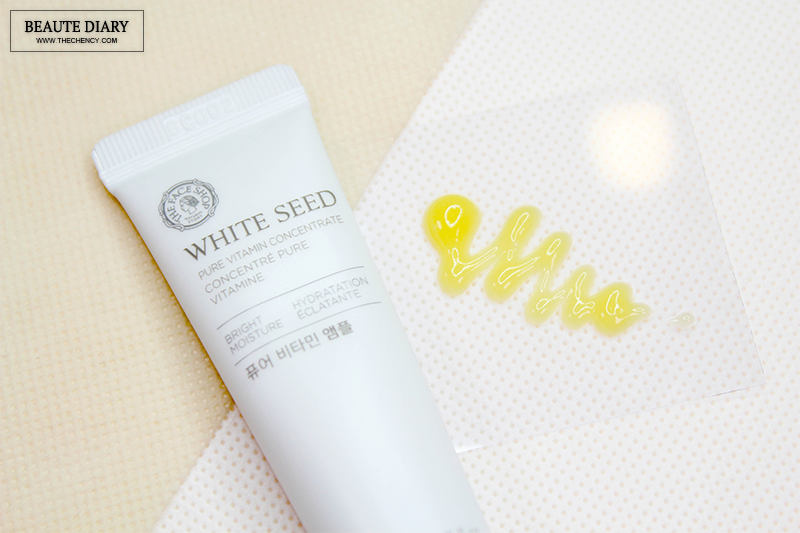 THEFACESHOP White Seed Pure Concentrate Vitamin is a spot treatment, targeted to thosw who has dark spots, freckles, pigmentation, melasma, skin texture and acne scars issue. As the name told, this product is contain highly concentrated pure Vitamin C as well known for brightening. Just to be clear, this is not an acne spot treatment so please do not use this on top of your fresh new acne, I believe it won't pleasure your acnes well. Besides than that, this spot treatment does not works on old scars too. I love to use this on my acne scars and burning area (I always burn myself) and this works amazingly! As amazing as I can see the result on the next day, the color of my scars become lighter because this is high concentrate Vitamin C means it has high oxidant level. The White Seed Pure Concentrate Vitamin looks like a good deal! Hopefully it will work for freckles as well. I think The Face Shop is getting more popular now in Malaysia. Some of my girl friends already become obsessed with the products. hmm seems quite good. i love the simple packaging. the price is quite affordable as well. There's no doubt that the public presence Search gets most popular at this moment around Malaysia. A number this female associates undoubtedly develop into enthusiastic about the choices as well as I've the delicate pores and skin and it is not really suggested to make use of whitening items, however I really hope these types of whitened seedling sequence assists upon my personal freckles..